The genome is not the program; it's the data. The program is the ontogeny of the organism, which is an emergent property of interactions between the regulatory components of the genome and the environment, which uses that data to build species-specific properties of the organism. MIT neuroscientists have now shown that they can influence those judgments by interfering with activity in a specific brain region--a finding that helps reveal how the brain constructs morality. In the new study, published in Proceedings of the National Academy of Sciences, the researchers used a magnetic field to disrupt activity in the right temporoparietal junction (TPJ). The stimulation appeared to influence subsequent judgments that required an understanding of other people's intentions. The findings offer "striking evidence" that the right TPJ, located at the brain's surface above and behind the right ear, is critical for making moral judgments, says Liane Young, the paper's lead author and a postdoctoral associate in brain and cognitive sciences. It's also startling, since normally people are very confident and consistent in such judgments, she adds. "You think of morality as being a really high-level behavior," Young says. "To be able to apply [a magnetic field] to a specific brain region and change people's moral judgments is really astonishing." "This article attempts to produce a synthesis of what is known about sleep with a view to practical applications, especially in people who need top-quality sleep for their learning or creative achievements. Neurophysiology of sleep is an explosively growing branch of science. Many theories that are currently contested will soon be forgotten as a result of new findings. Consequently, this text is likely to grow old very quickly. Yet some basic truths about sleep are well-established, and practical conclusions can be drawn with the benefit to human creativity and intellectual accomplishment. In this text, I provide some links to research papers and popular-scientific articles that advocate disparate and contradictory theories. Please consult other sources to be certain you do not to get a one-sided view! 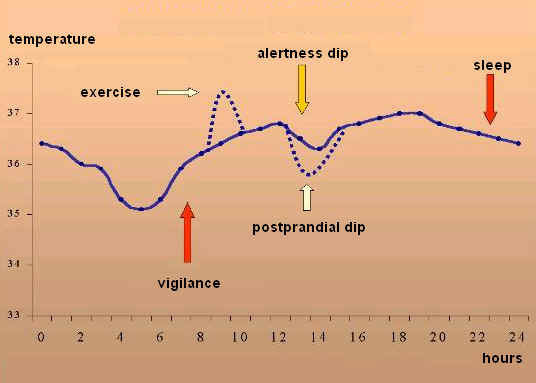 This article includes some indications on how to use free running sleep in the treatment of insomnia, hypersomnia, advanced and delayed phase shift syndromes, and some other sleep disorders." Dazzled by the Net’s treasures, we are blind to the damage we may be doing to our intellectual lives and even our culture. What we’re experiencing is, in a metaphorical sense, a reversal of the early trajectory of civilization: We are evolving from cultivators of personal knowledge into hunters and gatherers in the electronic data forest. In the process, we seem fated to sacrifice much of what makes our minds so interesting. Ray Kurzweil is working on another book, this one to explore the principles of human level intelligence in machines. Titled How the Mind Works and How to Build One, the new book will explore all the amazing developments in reverse engineering the brain that have come along since his last book, the Singularity is Near was released in 2005. Whether or not you agree with Ray Kurzweil’s predictions, the inventor and author stands out as one of the foremost futurists of our time. The "click" of comprehension triggers a biochemical cascade that rewards the brain with a shot of natural opium-like substances, said Irving Biederman of the University of Southern California. He presents his theory in an invited article in the latest issue of American Scientist. Biederman's theory was inspired by a widely ignored 25-year-old finding that mu-opioid receptors – binding sites for natural opiates – increase in density along the ventral visual pathway, a part of the brain involved in image recognition and processing. Biederman's theory holds that the greater the neural activity in the areas rich in opioid receptors, the greater the pleasure. Biederman also found that repeated viewing of an attractive image lessened both the rating of pleasure and the activity in the opioid-rich areas. In his article, he explains this familiar experience with a neural-network model termed "competitive learning." In competitive learning (also known as "Neural Darwinism"), the first presentation of an image activates many neurons, some strongly and a greater number only weakly. With repetition of the image, the connections to the strongly activated neurons grow in strength. But the strongly activated neurons inhibit their weakly activated neighbors, causing a net reduction in activity. This reduction in activity, Biederman's research shows, parallels the decline in the pleasure felt during repeated viewing. "One advantage of competitive learning is that the inhibited neurons are now free to code for other stimulus patterns," Biederman writes. "The system is essentially designed to maximize the rate at which you acquire new but interpretable [understandable] information. Once you have acquired the information, you best spend your time learning something else. "There's this incredible selectivity that we show in real time. Without thinking about it, we pick out experiences that are richly interpretable but novel."